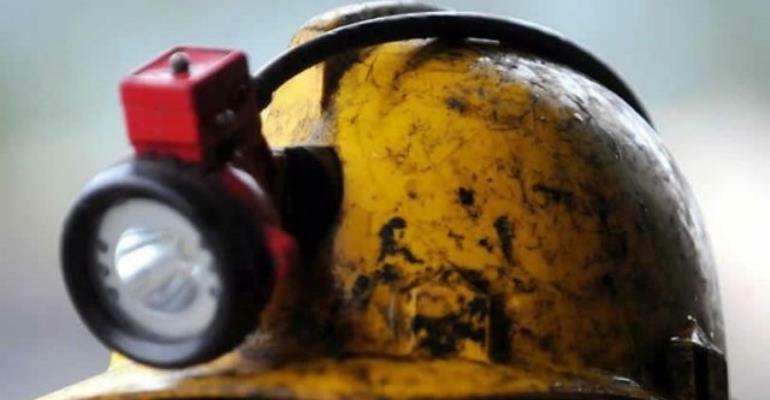 The Ghana Mineworkers’ Union says it welcomes AngloGold Ashanti’s intention to resume operation at its Obuasi concession but wants Government to ensure that terms under the Development and Tax Agreement which is being sought by the mining giant are adhered to. The Development and Tax Agreement is a fiscal incentive – tax cut and reduction in royalties – which is aimed at attracting foreign direct investment in the mining sector. The mine workers say Government and other stakeholders must contribute to AngloGold's request for the tax incentive which is currently before Parliament. In a press statement issued on February 23, the Union explained that in the past Development and Tax Agreements between government and mining firms have not yielded their intended objectives, singling out Gold Fields Ghana Limited as one such mining firms that failed to honour its obligations under a similar agreement. “A typical case in point is the failure by Gold fields to honour a fundamental obligation in the Development Agreement which emphasize the need for “ an increase of at least ten per cent (10%) in the number of permanent employees who are citizens of Ghana employed by GFGL at the mine which is the subject of GFGL Mining leases when compared to 31 December of the year prior to the year in which GFGL began construction or other activity required to complete the Development described in the Extension Plan and financed by the additional investment”…. “Regrettably, GFGL has not only reneged on its commitment to this agreement but has resorted to the use of short-term contract employment characterized by inferior employment conditions- a trend the Union is currently challenging,” the statement said. AngloGold Ashanti has a 100% interest in the Obuasi concession, which is located in the Ashanti region of Ghana, 200 kilometres North West of Accra. Read the full release from the mine workers below. The Ghana Mineworkers’ Union welcomes the redevelopment of the Obuasi mine into the full fresh operations following an accord over the Obuasi Investment framework. The Union takes cognisance of the notes to editors in the AGA piece which stipulate that AngloGold Ashanti has a 100% interest in Obuasi, which is located in the Ashanti region of Ghana, 200 kilometres North West of Accra. The Union is equally excited with the earmarked mine production for the first 10 years which will be focused on the upper ore bodies and is expected to average 350,000oz to 450,000oz at an average head grade of 8.1g/t. In the second 10 years, production averages 400,000oz to 450,000oz. The critical pointer is how the project seeks to deliver internal rates of return of between 16% and 23% at real gold prices of between $1,100/oz and $1,240/oz, leveraging on gold price whose current outlook is very positive. Indeed, according to the Economist magazine, The World in 2018 , gold price is predicted to hover around 1300 plus as currently seen from the trend year to date. With this positive price outlook, coupled with the levels of productivity, it raises the need to begin a conversation on mining windfall tax among other things which has the possibility of adding to our national purse and for that matter cure some of the revenue needs meant to reposition and grow our ailing economy. It is also worth mentioning that the World Bank had persistently emphasized the fact that a well-managed extractive industry’s fiscal regime has a major role in building a robust economy. Undoubtedly, this confirms the incumbent president’s strong appetite for a Ghana beyond aid. Governments over the years have put in measures including introducing fiscal incentives (tax cut, reduction in royalties) to attract and sustain foreign direct investment (FDI), particularly in the mining sector. These good intentions have culminated in the signing of Development and Stability Agreements between the Government of Ghana and mining companies who have demonstrated their resolve to re-capitalize and expand their investments. The Ghana Mineworkers Union is aware that AngloGold Ashanti is seeking a Development and Tax Agreement with the Government of Ghana as part of its revamping efforts which is currently under consideration and ratification by Parliament. However, considering the experiences gathered from existing Development and Tax agreements entered into by Government of Ghana with some mining companies including Gold Fields Ghana Limited (GFGL), it is quite evident that some have either failed or reneged on their obligations to these agreements. A typical case in point is the failure by Gold fields to honour a fundamental obligation in the Development Agreement which emphasize the need for “ an increase of at least ten per cent (10%) in the number of permanent employees who are citizens of Ghana employed by GFGL at the mine which is the subject of GFGL Mining leases when compared to 31 December of the year prior to the year in which GFGL began construction or other activity required to complete the Development described in the Extension Plan and financed by the additional investment”…. Regrettably, GFGL has not only reneged on its commitment to this agreement but has resorted to the use of short-term contract employment characterized by inferior employment conditions- a trend the Union is currently challenging. It is therefore important that the Government and all other critical stakeholders take a keen interest in the whole process and contribute to AngloGold Ashanti’s request currently before Parliament. The Union also notes that “AngloGold intends to have a smaller but skilled workforce that can operate in a mechanised/automated operation with a strong sense of accountability”. This is undoubtedly a step in the right direction. The Union, however, believes this must be informed by a global compensation logic that corresponds to these new skills set. Whilst acknowledging the current phase of the business; the need to mechanize the operations of the Company and the potential ramifications on employment numbers, a critical concern has to do with the emerging unflinching appetite by mining companies for non-standard forms of employment that seek to exploit such skilled workforce. It must be noted that the Union is poised to challenge the status quo to avert any such contemplation. In effect, it is illogical to have a mine with over two-decade life-of-mine backed by enough mineral reserves to put employees in an employment format likely to impact negatively on their wellbeing and career progression. Indeed, the International Labour Organization (ILO) asserts that insecure jobs have a negative impact on productivity and positive relationship with working poverty. It is therefore important for social actors to be guided by this assertion; noting the potential consequences on the industrial relations climate, workers morale, pensions, PAYEE and decent work. Interestingly, the President of the Republic of Ghana on several platforms had demonstrated his commitment towards the creation of decent and well-paid jobs. As a sustainable measure, therefore, the Union strongly recommends the that AngloGold introduces a detailed performance management system that ensures business excellence as a substitute to the propagation of non- standard forms of employment which runs counter to the decent work agenda by the ILO. Again, the Union notes that over the years AngloGold Ashanti has respected the fundamental rights of workers. Needless to say however that, as it resumes its operations, the union wishes to remind AngloGold Ashanti on the need to continue to respect these rights whilst noting that the Union has secured a Collective Bargaining Certificate that allows it to represent and negotiate on behalf of existing as well as potential new members. It is, therefore, necessary to raise caution that, the Union will not entertain any culture of Union busting ideologies as employees express their constitutional right to freedom of association. The Union welcomes AngloGold Ashanti to Ghana’s mining sector once again and pledges its unflinching support to the success of the business.